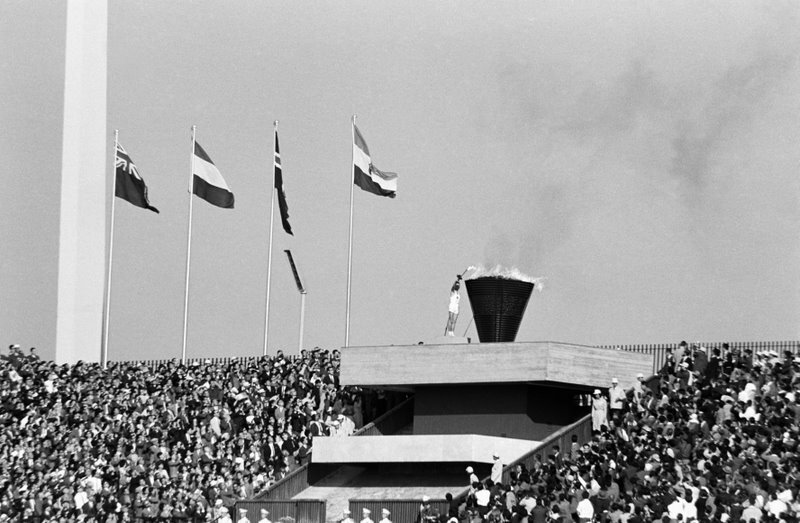 This image, of Yoshinori Sakai lighting the Olympic Flame to open the 1964 Tokyo Olympics, is filled with sympolic meaning. Sakai was born on the outskirts of Hiroshima on August 6, 1945, the day of the atomic bombing of HIroshima. As with all the Japanese runners who carried the torch, Sakai was part of the post war generation that had no first hand memories of World War II. The Tokyo Olympics were designed to show off to the world that Japan had recovered from war and was now a peaceful and technologically advanced nation. The Olympics are widely credited with helping to improve Japan's image to the world as a nation recovered from war and successful at peace. 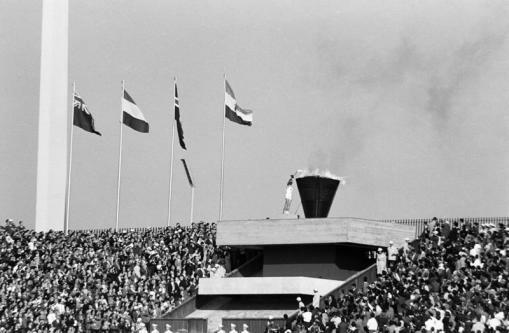 For more information on the significance of the 1964 Tokyo Olympics and Sakai, please read "Japan's Rebirth at the 1964 Tokyo Summer Olympics."